A basic contract consists of three elements; there must be an offer, acceptance and consideration. An offer is a promise to do something or not do something, made in exchange for a promise to do the same. Acceptance occurs when one party assents to the terms presented in the offer intentionally and unequivocally, either in oral or written form. Consideration must be given by both parties, in some form of value, whether that is money, refraining from an act, or performing a specific function. All of these elements must be present in a construction contract, along with many specific clauses that are common in the industry. In a construction contract, it is important to detail the scope of the work to be performed and the consequences of nonperformance or of untimely performance. If things change, the parties have outlined the ramifications and possible remedies. When it comes to remedies, parties may elect in their contract to enter arbitration in the event of conflict; arbitration is a type of alternative dispute resolution where a neutral third party decision maker makes the final and binding decision after hearing both parties argument, much like how a judge would. In the event that litigation does occur or arbitration is entered into, parties can disclose who will pay for attorneys’ fees when the award or judgment is given. In most states in the United States, there is a presumption that each party pays for their own attorneys’ fees, known as the “American Rule.” Thus, in order to get your fees covered by the other party, it must be disclosed in the agreement or in a state statute. Litigation is generally avoided when parties include indemnification clauses, assuming they are reasonable. 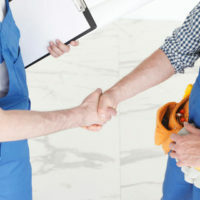 An overarching or overly broad indemnification clause may be written to try and cover all actions of the contractor, thus, it is important to note the scope of this type of clause during negotiation. It is also important to include what will happen when change orders are entered by one party or a delay occurs. Lastly, including warranties or bonds may be included once a substantial amount of the contract is completed. Warranties can protect the work performed during the duration of the project, as well as equipment, systems and materials. Construction contracts can become very specific to the industry and requires the knowledge of an experienced individual in the field, in order to efficiently move the process along and ensure your rights are protected. 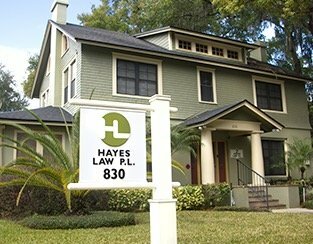 If you or someone you know has entered into an unequal construction contract and is seeking legal assistance, contact us at Hayes Law, P.L. today. We are here to listen and help you get results.